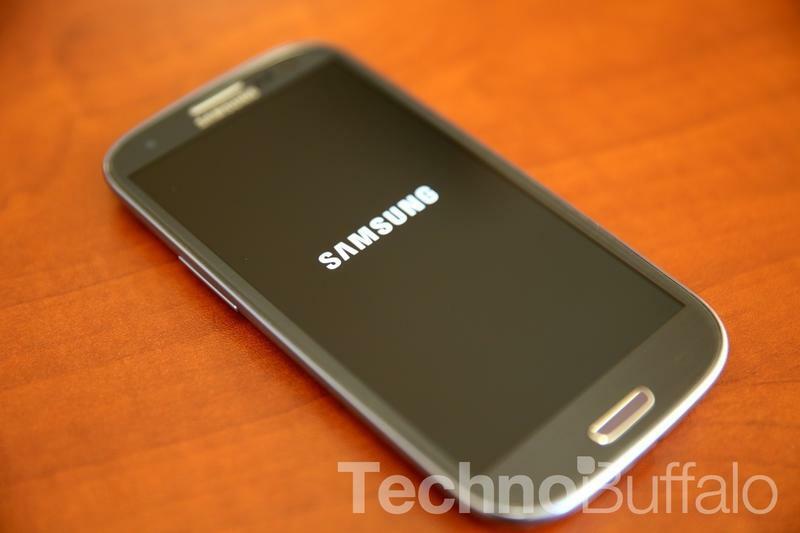 Sprint announced on Tuesday morning that both of its prepaid brands, Virgin and Boost, will soon offer the Galaxy S III. No, it's not the latest and greatest Galaxy S4 handset, but it's still a great smartphone and will support Sprint's 4G LTE network in 88 markets. As a refresher, especially since we've covered dozens of smartphones since we lasted discussed the Galaxy S III, the device is equipped with a 4.8-inch 1280 x 720-pixel display, an 8-megapixel camera, a 1.9-megapixel front-facing camera, Wi-Fi, GPS, Android 4.1.2 Jelly Bean, a dual-core processor clocked at 1.5GHz and 16GB of expandable storage. Sprint did not reveal the pricing or an exact date for when the device will arrive on Boost and Virgin, but it did note that the phone will be available with unlimited no-contract plans. Sprint's industry-leading prepaid brands Boost Mobile and Virgin Mobile USA – along with Samsung Telecommunications America (Samsung Mobile) – will add Samsung Galaxy S® III to both brands' expansive lineups of smartphone devices. Launching in June, the high-end Android smartphone will operate on the Sprint 3G and 4G LTE networks, with 4G LTE available to Boost and Virgin Mobile customers in 88 markets. Pricing information will be available from both Boost Mobile and Virgin Mobile at a later date. "Samsung Galaxy S III is a premium smartphone designed to deliver one of the hottest handset experiences to consumers," said Jeff Hallock, senior vice president, Marketing-Sprint. "Offering this device on both Boost and Virgin Mobile with the value, choice and flexibility of their no-contract[ Service on both the Boost Mobile and Virgin Mobile brands are subject to acceptance of certain terms and conditions.1] wireless plans makes moving from a long-term contract a simple decision. This is another stellar handset that further validates both brands' leadership in this space, a nationwide network[ Coverage is not available everywhere.2] with unlimited no-contract offers." With the super-fast 4G LTE network from Sprint, Galaxy S III brings the user to a whole new level of sharing capabilities and delivers the ultimate postpaid experience without a contract. A 4.8-inch HD Super AMOLEDTM touchscreen – the largest available in both the Boost and Virgin lineups – and an 8-megapixel rear-facing, zero shutter-lag camera combined with a powerful 1.5GHz dual-core processor elevates how customers can stay connected with family and friends. Samsung Galaxy S III 4G can be paired with Boost Mobile's no-contract¹ $55 Android Monthly Unlimited plan with Shrinking Payments. For every six on-time payments, the cost of Boost Mobile's Monthly Unlimited plan shrinks by $5, eventually getting down to as low as $40 a month for unlimited nationwide talk, text and picture messaging, Web[ Includes 2.5GB per month of high-speed data. Adaptive protocol video limited to 3G speeds. When mobile hotspot add-on purchased (only for select devices), data usage is total combined device and hotspot data use. 3], email and calls to 411. Payments do not need to be consecutive to qualify for the next savings milestone. Because of the innovative technology of Samsung Galaxy S III, Virgin Mobile customers will appreciate the real savings over postpaid service of our monthly no contract plans which offer unlimited data and messaging starting at $35 per month. These Beyond Talk plans are especially designed for data-savvy customers, who tend to surf the Internet, send emails, instant messages and post to social networks more than they use their phones for calling. As Sir Richard Branson asks in his Virgin Mobile USA video manifesto for A Higher Calling, "Why pay for minutes when it's unlimited data you really want?" Please visit Boost Mobile LTE Markets & Virgin Mobile LTE Markets for more information. Samsung, Galaxy S, S Beam and All Share Play are all trademarks of Samsung Electronics Co., Ltd. Android is a trademark of Google Inc. Other company names, product names and marks mentioned herein are the property of their respective owners and may be trademarks or registered trademarks.